The Wachowskis are back writing and directing a new science fiction movie to be released on July 18, 2014. Why do I bring this up? If Andy and Lana had never made any other films than The Matrix series, they would have remained in my personal annals for all-time greats. The Matrix hit all the right buttons for science fiction, special effects, philosophy, wild imaginings, and, of course, total geeky nerdiness. Time-slice, slow motion, and such film techniques had been in use for a number of years, but the Wachowskis managed to bring it home with "bullet time". For me at least, this trilogy of films remains a very original cinematic opus. Based on this and this alone, whatever the Wachowskis do will remain on my To Do list. They may not always hit it out of the ball park, but it is worth seeing what they are up to. 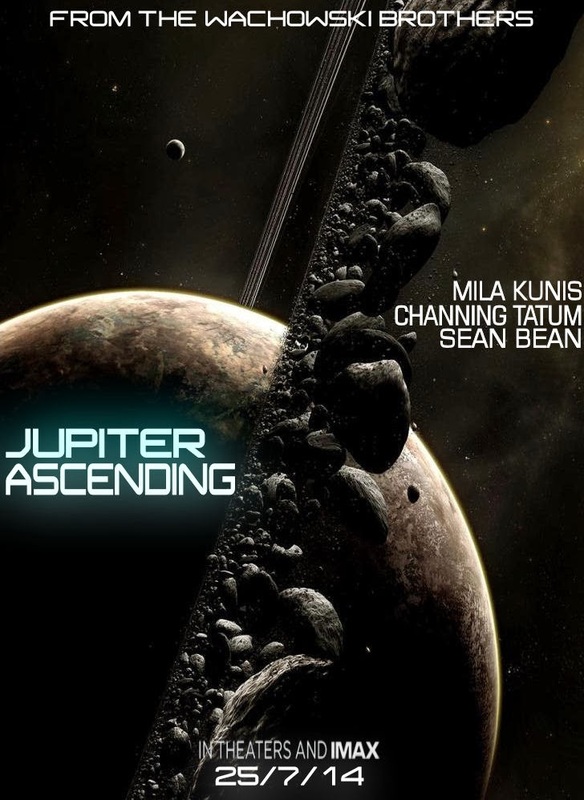 Jupiter Ascending trailer: move over Matrix? And yet the Wachowskis have recently shown themselves to be slipping into the sort of ambitious arthouse fantasy territory usually inhabited by Terry Gilliam (it is no surprise that the former Python is reputed to have a cameo in Jupiter Ascending). Last year's sprawling, refracted and hypnagogic Cloud Atlas was a daring, confident and unapologetically leftfield affair: the kind of movie that would never have survived intact as a major Hollywood studio production. A cult classic in the making that will surely come to stand alongside Brazil and Twelve Monkeys as elliptical wonders destined only to garner increased critical traction over time. Here are some of the films written and/or directed by the Wachowskis. It's the Wachowskis. There is nothing more to say. I'll be there and I would advise you to be there too. Jupiter Ascending is an upcoming science fiction film written, produced and directed by The Wachowskis. The film centers on Jupiter (Mila Kunis), a lowly janitor who learns that she has a great genetic destiny. Google image search: "Jupiter Ascending"
Google video search: "Jupiter Ascending"
Lana Wachowski (born Laurence "Larry" Wachowski; June 21, 1965) and Andrew Paul "Andy" Wachowski (born December 29, 1967), known together professionally as The Wachowskis and formerly as the Wachowski Brothers, are American film directors, screenwriters and producers. Their movies always LOOK fantastic - I mean the visuals - even when they might not be exactly what i'm looking for. I've always been glad "V for Vendetta" exists, although I rarely feel like watching it again. Incidentally, Terry Gilliam is supposed to have a new movie out just this week called "Zero Theorum," which he says is a dystopia in the vein of "Brazil" and "12 Monkeys." The official website for the movie, however, only says "coming soon" when you click on "trailer," so I'm skeptical that it's out. Staying interesting AND commercial viable is apparently very, very difficult.